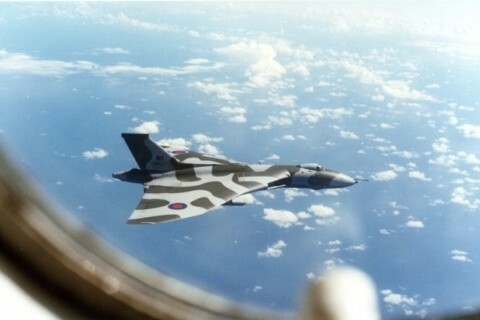 In November 1981, it was decided to withdraw the Vulcan from service in June 1982. 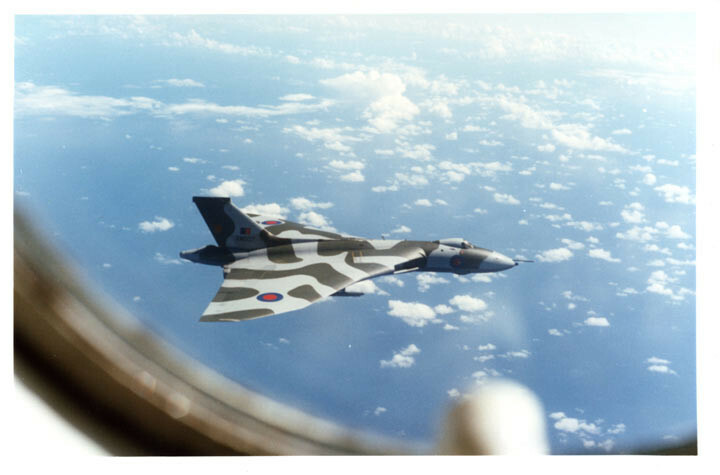 However, the Argentinean invasion of the Falkland Islands in the spring of 1982 gave the Vulcan an extended lease of life, and an unexpected swansong at the end of its distinguished RAF career. With the collapse of the diplomatic talks aimed at achieving a peaceful solution to the crisis, the British set about liberating the islands by force. 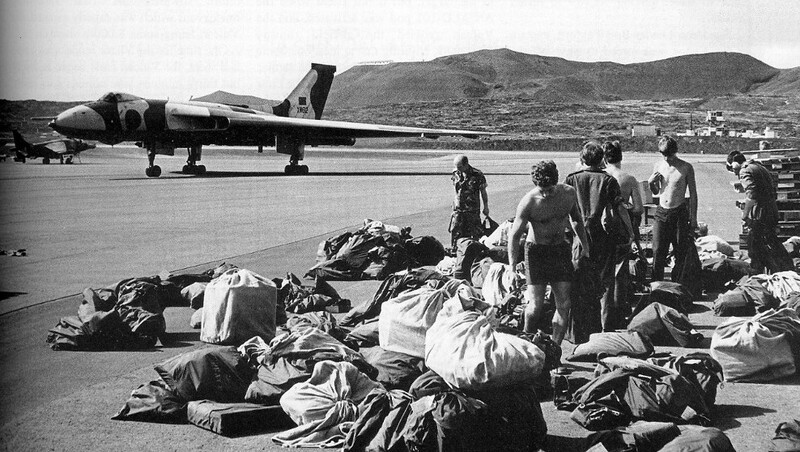 Between 30 April and 11 June, the RAF carried out five long-range sorties against the Falklands with Vulcans detached to Wideawake Airfield, on Ascension Island, in the mid-Atlantic. 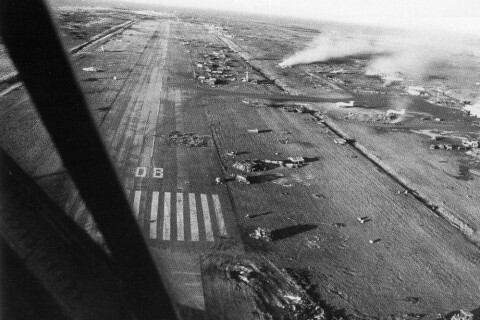 Code-named Operation ‘Black Buck’, three of the sorties were conventional bombing missions against the runway at Port Stanley Airport (in order to deny its use to high-performance Argentinean fighters) and two were Shrike missile sorties against radar sites on the islands. 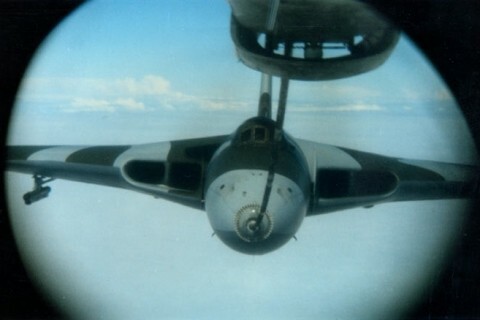 The raids were the longest bombing missions in the history of aerial warfare (a record subsequently broken by USAF B-52 s during the 1990 Gulf War), each requiring massive support from the RAF’s fleet of Victor K2 tankers. Each ‘Black Buck’ involved a round trip of some 8,000 miles and lasted upwards of 15 hours. 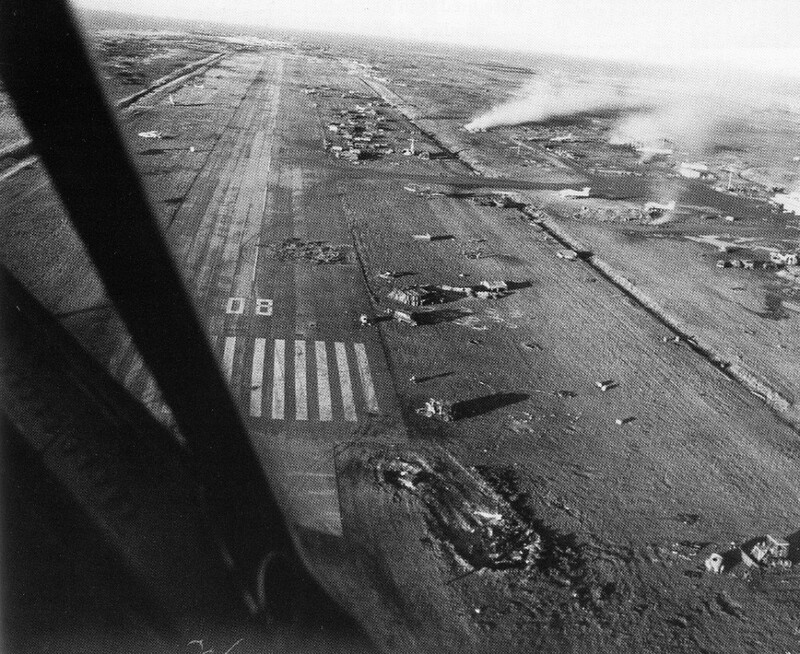 ‘Black Buck 1’ succeeded in damaging the runway at Port Stanley (the Argentineans never deployed their front-line fighters to the Falklands) and ‘Black Buck 5’ and ‘Black Buck 6’ damaged and destroyed Argentinean radar sites. The raids, however, were not without their difficulties. 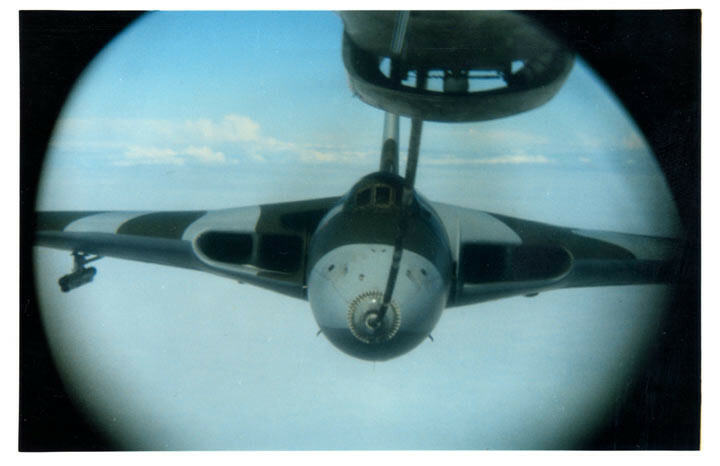 On the return leg of ‘Black Buck 6’, problems during an air-to-air refuelling hook-up caused part of Vulcan XM597’s refueling probe to break off. 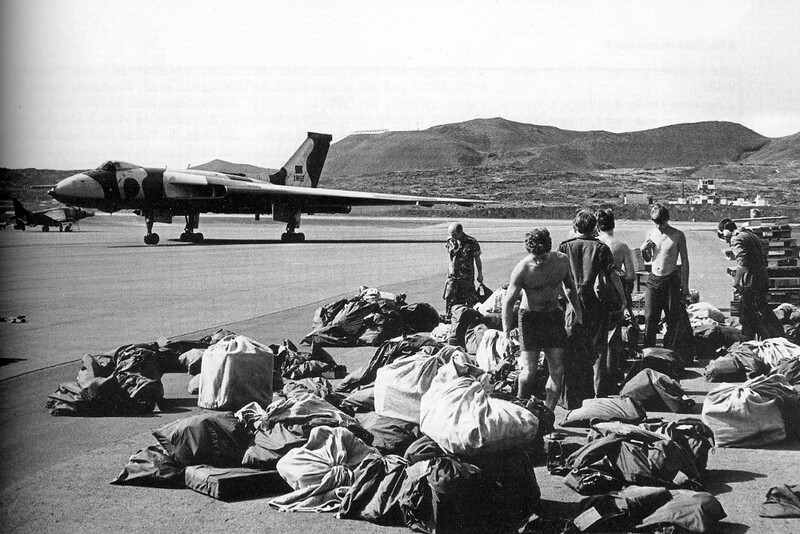 The crew were forced to divert to Rio de Janeiro where XM597 was impounded by the Brazilian authorities. Following negotiations, the aircraft was eventually released eight days later.